The built-in tablet arm on this soft seating stool makes it super convenient for doing homework, checking E-mails or reading a book. 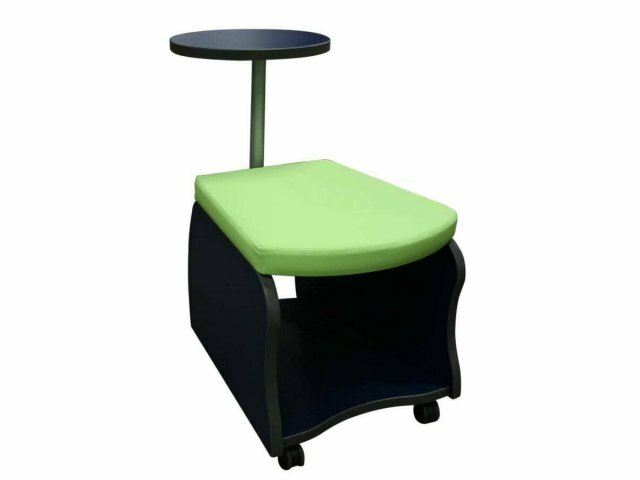 Soft Seating Storage Stools provide a comfy place to sit, with convenient accommodations for your bag or books. 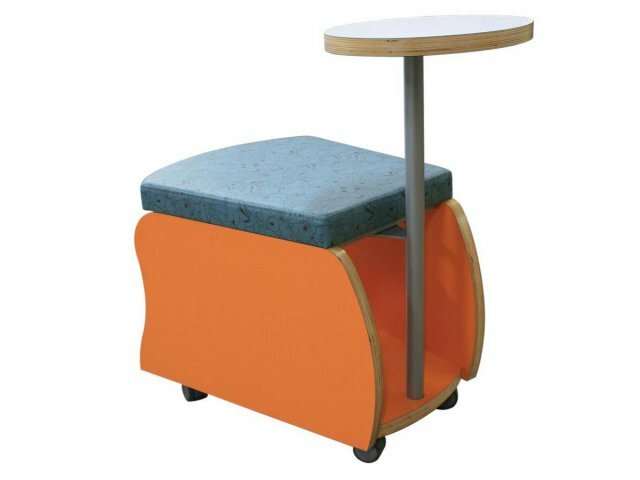 The cushy seat is perfect for a library, lounge area or collaboration space, with an open storage compartment underneath, which fits a backpack, purse or messenger bag. Four locking swivel casters make it easy to roll into some group collaboration or find a quiet space to relax and regroup. 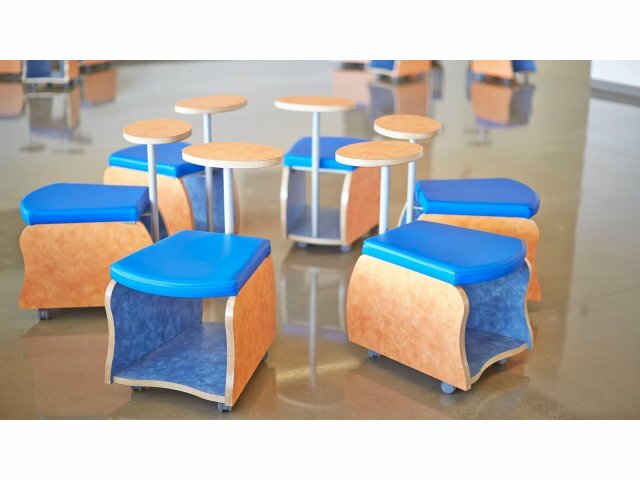 These soft seating stools are designed to fit your space, no matter where you want to put them. With lots of color choices in both the base and upholstery fabric, you can create a cool contemporary combination that will really set your space apart. 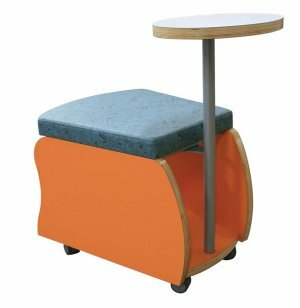 Durable materials including high-density upholstery foam with a plywood seat base, and high-pressure laminate ensure that this cool storage stool will serve your school for many years to come. Durable Construction: Tablet arm features a high-pressure laminate work surface, supported by a powder coated steel frame. Cushy Seat: The high-density upholstery foam seat is 2" thick for comfortable seating. Convenient Design: Open storage base provides an accessible space, which accommodates a backpack and other personal items. Sturdy Base: Finished on both interior and exterior sides with high-pressure laminate. Mobile Ready: Four locking Softec swivel casters make it easy to rearrange and find a sweet spot. Attractive Options: An array of upholstery and laminate hues can coordinate with any color scheme. Call us about our huge selection of additional upholstery choices.